Mr Mah Bow Tan has served in the Government, holding various portfolios until his retirement from politics in May 2011. His involvement and experience spans the private and public sectors. In the private sector, he has been with Singapore Bus Services (SBS), Singapore News and Publications Ltd and Singapore Press Holdings Ltd. Mr Mah has served the Labour Movement in various capacities. He worked closely with the National Transport Workers Union as General Manager in the former SBS, and was Chairman of NTUC Comfort Cooperative Limited; Chairman of the Productivity Board; Chairman of the Singapore Institute of Labour Studies (now the Ong Teng Cheong Labour Leadership Institute); and Chairman of the Singapore Labour Foundation (2002 to 2011). His accolades include the Medal of Honour conferred by the National Trades Union Congress (NTUC), and the Alumni Award for Achievement presented by the University of New South Wales for his outstanding contribution to public service in Singapore. He has also been conferred an Honorary Doctor of Science degree by the University of New South Wales. Mr Mah was awarded the President’s and Colombo Plan Scholarships to study at the University of New South Wales, Australia, graduating with First Class Honours in Industrial Engineering in 1971 and a Master of Engineering degree in Operations Research in 1973. He was appointed Director of GYPP on 30 September 2011 and re-elected on 30 October 2015. He is Chairman of the Nominations Committee and a member of the Remuneration Committee. 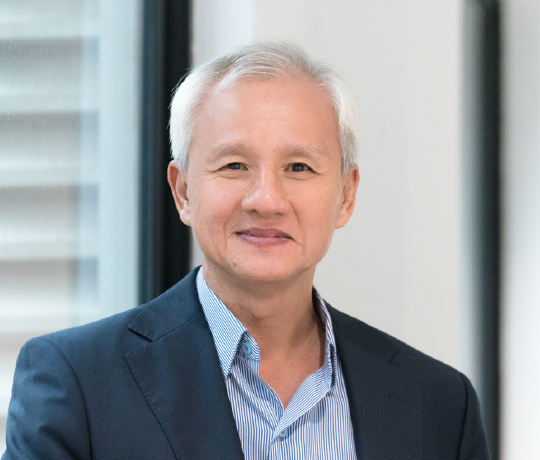 Stanley Tan has spent his years in business covering various sectors including media and publishing, property development and investments, as well as hotel management. In 1978, he founded Magazines Incorporated which, under his leadership, became the largest media representation house in South East Asia and among the largest lifestyle magazine publishers in Singapore. Magazines Incorporated was later restructured into an investment unit, The Angliss Property Group. It incorporates media- and paper-related businesses, as well as industrial estates and townships in various parts of Australia and New Zealand. He has remained a Director of the company. Stanley was conferred an Honorary Officer to the New Zealand Order of Merit in 2002 and received the Singapore National Day Award in 2011. He was also recognised by the New Zealand High Commission in 2015 for his contribution to Singapore and New Zealand’s 50 year partnership, as well as New Zealand and ASEAN’s 40 year partnership. Stanley was appointed to the Board of GYPP on 6 February 2007 and re-elected on 26 October 2017. He was appointed Chairman on 25 July 2008, as well as Executive Chairman and Acting Chief Executive Officer on 11 February 2009. He was confirmed as Chief Executive Officer on 30 September 2011 and is currently a member of the Executive Committee. 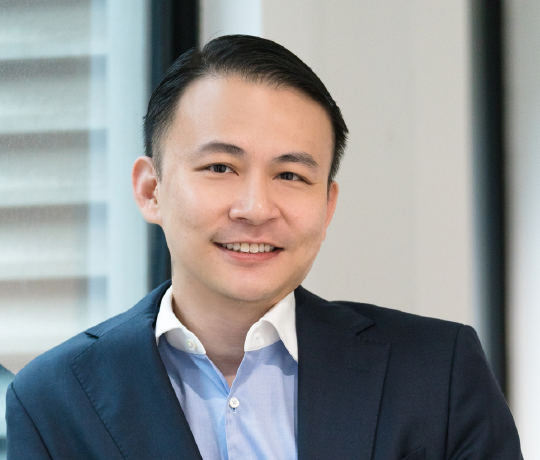 Andrew Tay has spent more than 20 years of his career in Corporate and Institutional Banking covering South East Asia with Bank of America, Standard Chartered Bank and Commerzbank AG. Andrew was previously the Regional Head of Institutional Banking for South East Asia and India, covering bank and non-bank financial institutions for Standard Chartered Bank. From 2001 to 2003, he was the Executive Director of ABR Holdings Limited which is listed on the Singapore Exchange. Andrew graduated with a Bachelor of Business Administration from the University of Singapore in 1978. He was appointed Director of GYPP on 12 December 2007 and re-elected on 28 October 2016. He is Chairman of the Audit Committee and Member of the Executive Committee. 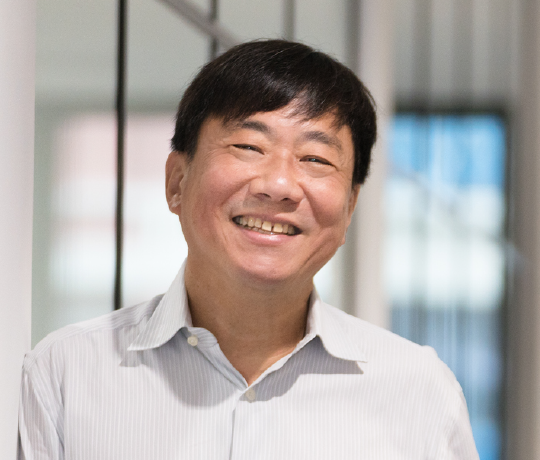 Ng Tiong Gee has 30 years’ experience in the infocomm technology sector and is President of Tech Talent Assembly, an association set up by NTUC to help ICT professionals upskill and remain employable. He is also Chairman of Yellow Pages Pte Ltd, an online platform committed to enabling SMEs; independent director of Y Ventures Group Ltd; and lead independent director of Pacific Radiance Ltd.
Tiong Gee was previously Senior Vice President for Technology of Resorts World Sentosa from 2013 to 2016, as well as Chief Information Officer and Chief Human Resource Officer of United Test and Assembly Center Ltd from 2008 to 2013. Prior to that, Tiong Gee was with STATS ChipPAC in 2001 and was its Senior Vice President of Human Resources and Chief Information Officer until 2008. Between 1988 and 1992, he held various key engineering positions at Digital Equipment Singapore, now part of Hewlett-Packard. He then went on to work at Siemens Microelectronics Asia Pacific Pte Ltd (now known as Infineon Technologies Asia Pacific) for over six years where he last served as Director of Information Systems and Services. From 1999 to 2001, he was the Chief Information Officer of Gateway Incorporated, heading the company’s IT activities in Asia Pacific. He graduated with a Bachelor of Mechanical Engineering with Honours from the National University of Singapore and holds a Master of Business Administration from Nanyang Technological University of Singapore. He has also attended the Advanced Management Program at Harvard Business School. Tiong Gee was appointed Director of GYPP on 6 August 2007 and re-elected on 26 October 2017. He is Chairman of the Remuneration Committee and a member of the Nominations and Audit Committees. Pang Yoke Min is the Executive Chairman of Pacific Radiance Ltd, an offshore marine company involved in shipbuilding, ship-owning and chartering for the marine, oil and gas industries. He is also Chairman of YM Investco Pte Ltd, a family investment holding company. Previously, he was Group Managing Director of Jaya Holdings Ltd from 1981 to 2006. Yoke Min was appointed Director of GYPP on 6 February 2007 and re-elected on 30 October 2015. He is a member of the Audit, Nominations and Remuneration Committees. Loo Wen Lieh is the Group Financial Controller of Tee Yih Jia Group, a leading frozen foods manufacturer in Singapore with investments in various industries, including property, technology and F&B. Wen Lieh is also an alternate director of JB Foods Limited which is listed on the Singapore Exchange. From December 2002 to May 2007, Wen Lieh was the Chief Financial Officer and Corporate Secretary of AGVA Corporation Limited and Hengxin Technology Limited where he was responsible for their Initial Public Offering, financial, tax and other related matters. He was a manager with KPMG from July 1996 to November 2002 and left KPMG for one year from March 2000 to February 2001 to be the co-founder for a technology start-up. Wen Lieh graduated with a Bachelor of Accountancy from Nanyang Technological University in 1996 and is a Fellow Chartered Accountant of Singapore, an ACA of the Institute of Chartered Accountants in England and Wales, and an ASEAN Chartered Professional Accountant. He was appointed Director of GYPP on 1 July 2018. 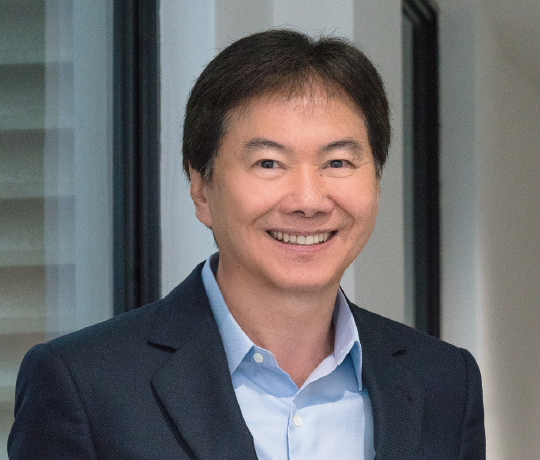 Stanley Tan has more than three decades of real estate investment experience in Singapore, New Zealand and Australia; comprising townships, commercial, retail, hotel, industrial and residential developments. Some of these investments in New Zealand were Centre Place (Hamilton); BP House (Wellington); Nestle manufacturing complex, State Insurance Building, Vulcan Building and CML Building (Auckland); as well as the development of Citylife Hotels (Auckland, Wellington and Christchurch) and Heritage Hotels (Auckland, Christchurch and Queenstown). Past investments in Singapore included properties around Amoy Street, Ann Siang Street, Beach Road and Neil Road. Stanley is also a Director of The Angliss Property Group which had property investments in Melbourne, Sydney, Brisbane and Townsville. Stanley was appointed Chief Executive Officer of the Group in September 2011. Under his management, the company has overcome the challenges of a sunset industry by diversifying our portfolio and steering our core business to property development, investment and management. Chua Joan Keat was appointed Chief Financial Officer of the Group in January 2014 and has over 20 years of financial management, investment, regulatory reporting and technical accounting experience in Big 4 accounting firms and global multinational companies. He was previously Financial Controller of AXA Life Insurance Singapore and Head of Treasury & Investment Services at Aviva Singapore. Joan Keat graduated with a Bachelor of Accountancy Degree (First Class Honours) from Nanyang Technological University in 1996 and is a Chartered Accountant with the Institute of Singapore Chartered Accountants, a Chartered Accountant with the Chartered Accountants Australia and New Zealand, and a Chartered Financial Analyst. Chris Minty has over 25 years of experience in New Zealand property development, property management and consultancy for a variety of stakeholders including trusts, listed property entities, financial institutions, corporates, private clients and receivers. His portfolio comprises significant commercial and residential developments including the Heritage Hotels (Auckland, Christchurch and Queenstown), The Parc (Auckland), Foundry (Albany), Neuhaus (Stonefields) and Saba on Fanshaw (Auckland). Besides his own company Pacific Advisory and Management, Chris previously worked with IronGate Property, St John Balanced Property Fund, Symphony Group and Chase Corporation. Chris graduated with a Bachelor of Business Studies from Massy University in 1979, where he received the Top Student Award from Fletcher Construction Limited. Kathlyn Tan first joined the company in June 2011 as Executive Assistant to the Chairman and has since worked in various functions across the Group including operations, business development, strategic planning and project management. In September 2018, she was appointed Corporate Marketing Director and drives the company’s community and sustainability initiatives. Kathlyn graduated from the University of Sydney with a Bachelor of Economics and a Graduate Certificate in Strategic Public Relations. She has previously worked with the World Business Dialogue, Hill+Knowlton Strategies and GTG (formerly 3M GTG). Jaki Dwight has more than 15 years’ experience managing shopping centres and commercial properties in New Zealand and Australia. 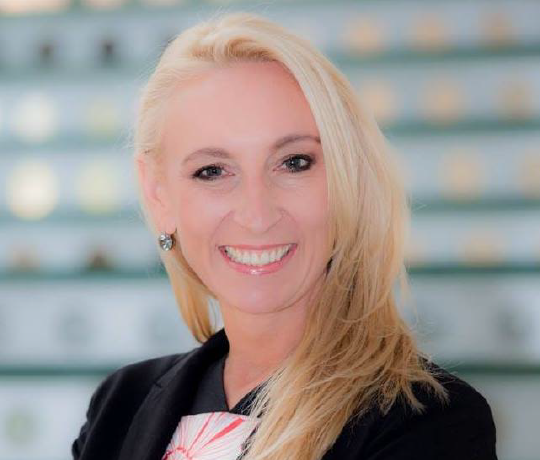 Prior to joining the company, she was with Australian public listed Scentre Group (formerly Westfield Group), where she managed the shopping centres Shore City and Glenfield Mall and played a key role in securing both centres’ income and capital values. Jaki later went on to property group Vinta where she helped drive the remix, development and turnaround of Hunters Plaza in Papatoetoe, Auckland. Jaki brings a high level of retail experience & passion within this sector of the market, aligning with the Group’s strategy to grow and enhance our portfolio and returns. Aaron Abercrombie has been in the civil construction industry for ten years. He comes from a varied background of commercial siteworks, earthworks, roading and subdivisions, and has worked on projects such as Power Stations in the Netherlands and tunnelling boring in Australia. 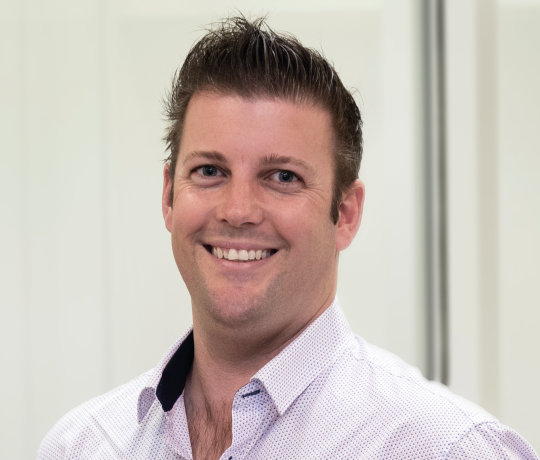 Before joining GYPP, Aaron was a Quantity Surveyor for Hiway Stabilizers, New Zealand’s largest road construction and geotechnical contractors; and General Manager of Troydon Contractors, a civil contracting company in Auckland.